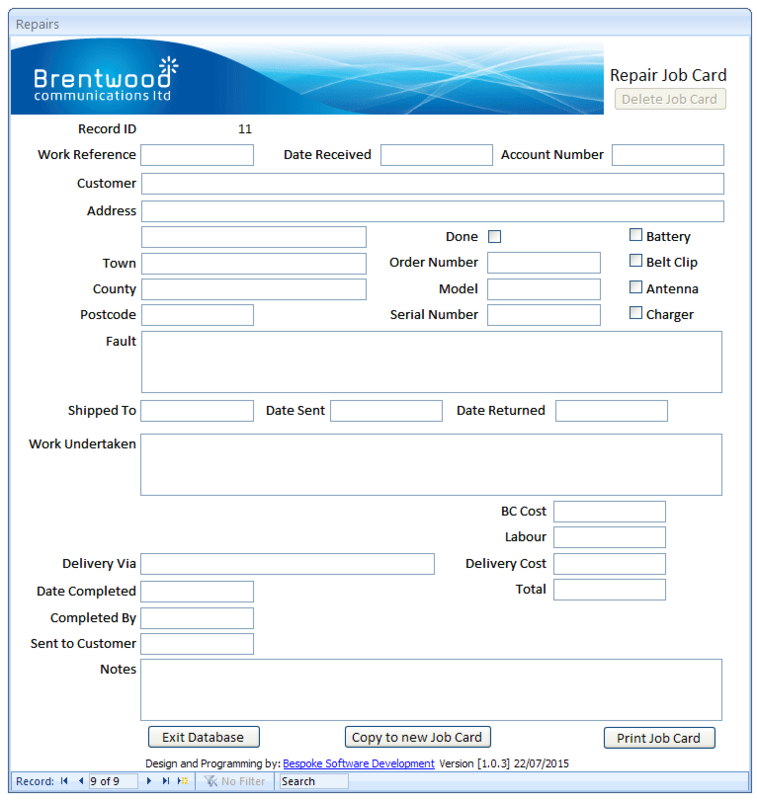 Brentwood Communications Limited contacted me to develop a simple database solution to streamline their workshop operations in respect of Repair Job Cards. I developed a simple front-end/back-end database solution that consisted of a single form to enable staff to record details of communication equipment that arrived for repair, and then print out job cards for the workshop. I also provided a simple copy facility to enable the copying and modification of repair cards as they were often similar when batches of equipment arrived. This prompted consistent data recording, and ensured that the repair cards arriving in the workshop with the equipment were clear, consistent and accurate.